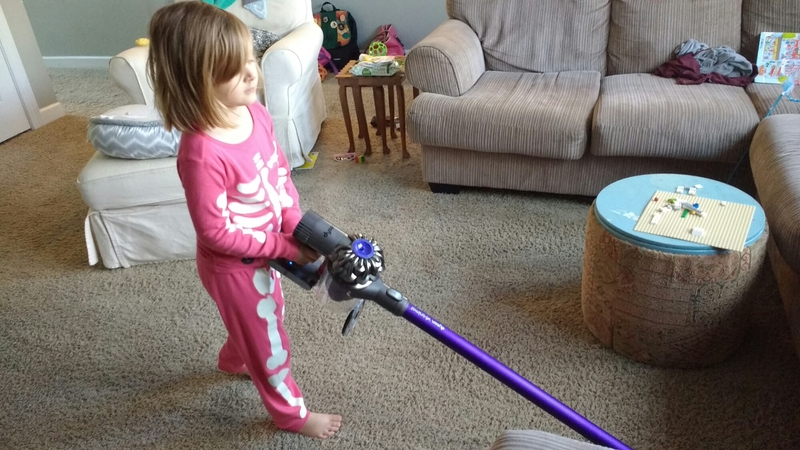 If you had told me five years ago that a pink skeleton would vacuum my floors, to that I would have said “Ha!” but here we are. Haha, yeah – we noticed it after photos. We had opened it to empty it and didn’t snap it closed right (there’s a wrong way to do it?) But got it shut eventually so she could actually vacuum!